Parsons The New School For Design presented LVMH with an award at the school’s 67th Annual Fashion Benefit, honoring the Group’s support for creativity. Parsons graduate Marc Jacobs also received a award for his career. LVMH and its 70 Houses were honored by Parsons The New School for Design for their commitment to creativity, a driving force behind the excellence that defines our Group. 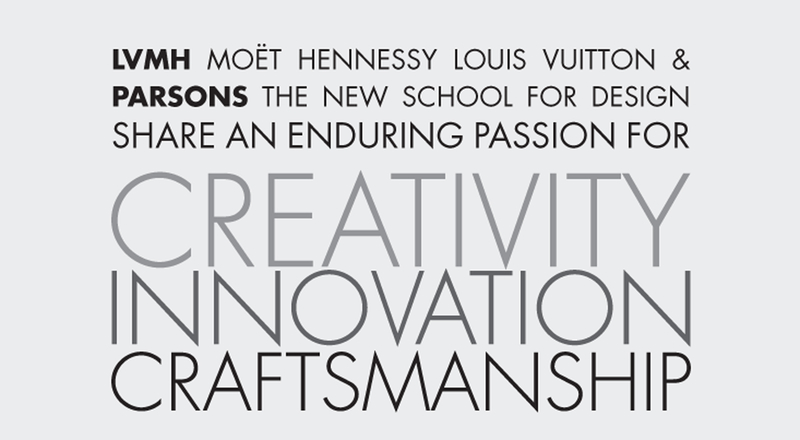 The Parsons award recognizes the passion that inspires the 120,000 employees of LVMH each day. This same passion has guided the unique and groundbreaking vision of Marc Jacobs throughout his career within the LVMH Group. Passion also guides the philanthropic engagement of the LVMH Group, which actively supports the training of tomorrow’s creative talents through initiatives such as the Institut des Métiers d’Excellence. As one of the world’s leading design schools, Parsons has become a privileged partner of LVMH through a variety of innovative joint educational programs, as well as custom-tailored recruitment events. “We are extremely proud to accept this award, which we dedicate to creative talents. We are very excited about pursuing our partnership with Parsons, as well as our many initiatives to free the tremendous forces of creativity,” said Chantal Gaemperle, LVMH Group Executive Vice President, Human Resources and Synergies.